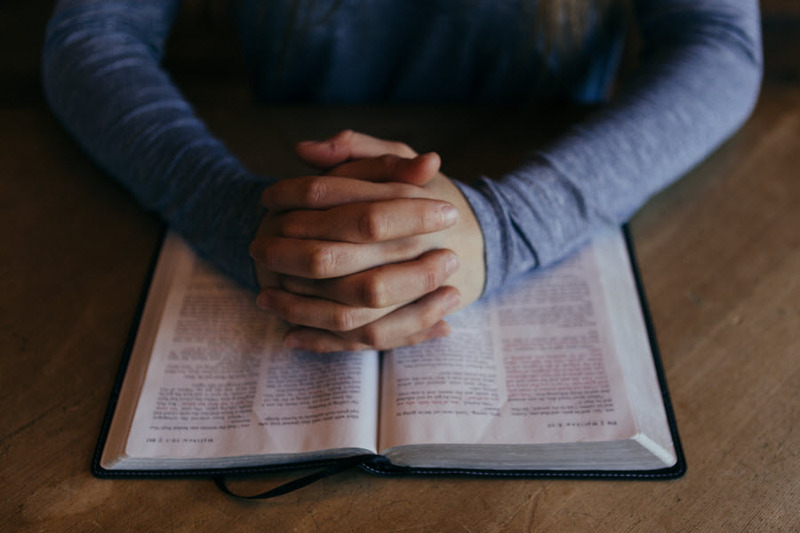 Every time we come to Mass or read from the Scriptures, we hear the Word of the Lord and are called to reflect on the power of God’s love expressed through them. Last Sunday we celebrated the Feast of Christ the King. In the Gospel for that day we reflected on the exchange between Jesus and Pilate. Jesus had been arrested and brought before Pilate. His question was: “Are you the King of the Jews?” Earthly kings have power to rule. Their word becomes law. My last parish has St. Thomas More as its patron. He was high up in the government of the king of his day. But when he was challenged to deny a truth of faith and side with the king against the Church, he said, “I am the king’s loyal servant, but God’s servant first.” Those words led to his brief imprisonment and quick execution. The king’s word was law. That kind of law is abusive, destructive, and sinful. But we are blessed to hear the Word of God, the Words that are far more than a law, they are life giving. How powerful the words of Jesus are. They forgive, heal, guide, and encompass in the very life of divine, unconditional love. Today we begin a new Church year with the first Sunday of Advent. One of things we do during this season of spiritual preparation for Christmas is listen to the Word of God. The first readings on each of the four Sundays of Advent come from four different prophets. In each of these readings the people of Israel hear God’s promise to send them a Savior. This week the first reading is from the Prophet Jeremiah. Through his words we hear God’s promise to send a Savior. The people of Israel were saved from slavery in Egypt and guided over forty years to the Promised Land, a land they would never had reached without the guidance, support, and love of God. This promise is made through Jeremiah because the people forgot how they got to the Promised Land and how to live as God’s chosen people. They disagreed on how they could find unity as a nation. As history has shown us over and over again, once we lose our common thread and concern for each other divisions creep in and words are spoken or written that are meant to belittle, hurt, and disparage. They are the very opposite of God’s Word. What words do we speak or mull over in our hearts and minds? Are they God’s Words, or words that divide, seek to punish, or express anger? When those words prevail in our personal lives and in our nation there is no peace. The darkness of negatively leads to distrust, disillusionment, and disunity that builds mental and personal walls to protect ourselves and our opinions. In a sense we look for a savior to side with us and enable our thoughts, ideas, and actions to prevail. When Moses was called by God to speak God’s Words to the people he said to God, “If I go to the Israelites and say to them, ‘The God of your ancestors has sent me to you,’ and they ask me, ‘What is his name?’ what do I tell them?” God replied to Moses: I am who I am. Then he added: This is what you will tell the Israelites: I AM has sent me to you.” God is who He is, not who we think He might be or want Him to be. That line was spoken in the Book of Exodus, the second book of the Bible. Since that time we have 38 more books of God’s revealing Himself to His people in the Old Testament, and the four Gospels, Acts of the Apostles, and letters of St. Paul, St. Peter, St. John, St. James, St. Jude, and the book of Revelation in the New Testament. In other words we have a treasure chest of God’s Word. Advent is our time to look at the longings of the Jewish people and God’s longing to send a Savior. These Words are as relevant and pertinent to us as they were to those people more than 2,000 years ago. Unless and until we see God as our Savior there will always be confusion, uncertainty, and anxiety in our daily lives and in our life with one another as families, communities, and nations. The question then is: “What does the Word of God mean for me personally?” We read and love to listen to the words of those who know us, love us, have our best interests at heart, and who never give up on us. They only seek to build us up, inspire, and encourage us. That is exactly what God is doing for us through His Words. His ultimate Word is Himself in the person of Jesus Christ. Every Word He spoke was the Word of God. Every act was an act of God. Every healing was a healing of God. Every pardon was a pardon of God. But Jesus is not an awaited historical figure who has come and gone. Through His Body, the Church, and through His Words in the Scriptures He reveals Himself and His love for us over and over and over again. How blessed we are to reflect on Him as the Word and the Word of God in the Scriptures. The more we find time to spend in prayer, the more we become amazed and awed just at the fact that we are alive and have a God who is always there to listen to us. The more we consciously experience His love through personal prayer and the sacraments, the more we look forward to spending time with Him. Prayer not something I have to fit into my day, but a time to be renewed, refreshed, and reassured of our value to Him and His love for us. How good it is to get ready to celebrate the birth of our Savior. He so fills me with His love that I become a savior to all whose lives I touch. How good it is to be immersed in the love of such a powerful, loving God. God knows all about me simply because He loves me more than I can comprehend.